Christmas is Murder by Carolyn Arnold is the seventh book in the Mckinley Mysteries series. It was an entertaining and easy to read cozy mystery. This is the second book from the series I am reading and I have no regrets. I am looking forward to reading the remaining books. Sean and Sara McKinley, fresh from their honeymoon in Europe, is looking forward to sharing their first Christmas as a married couple. Then their neighbours, whom they never had time to, know on a deeper level, died in a house fire on Christmas Eve. Fuelled by the guilt of not taking the time to know her neighbours she decides to investigate the circumstances behind their deaths. She is convinced they were murdered and with Sean by her side; she is determined to prove her theory at all cost. Was it an accident or did someone deliberately set the fire? I found the mystery engaging. I was keen to discover if Sara was correct in her suspicions. The lovely couple employed a variety of methods to help in solving the case. Some of these methods found them crossing the lines of legality. There were funny moments, which had me laughing aloud. I especially enjoyed the scene where they found themselves cornered by an angry Rottweiler. I loved how the author incorporated the Christmas theme throughout the story. There was no doubt that this was a Christmas story. 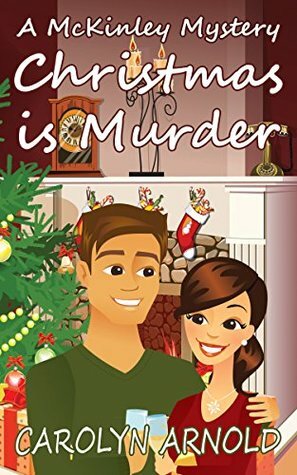 Christmas is Murder is a light, fun and fluffy read. If you are a reader who loves mysteries that are gritty and intense then this book not for you. However, if you are looking for something light and fun, then it is the perfect book.